Get a sense of the local culture at Red Earth Estate and Gilgandra Rural Museum. Escape the urban bustle at Taronga Western Plains Zoo and Maquarie River. Change things up with these side-trips from Dubbo: Tiger Bay Wetlands (in Warren), Warrumbungle National Park (in Coonabarabran) and Narromine Aviation Museum (in Narromine). There's lots more to do: contemplate the long history of Old Dubbo Gaol, admire the striking features of Dundullimal Homestead, Head underground at Wellington Caves & Phosphate Mine, and get lost in a book at Macquarie Regional Library. For maps, reviews, ratings, and tourist information, read our Dubbo trip itinerary maker app . Sydney to Dubbo is an approximately 3-hour flight. You can also drive; or take a train. Traveling from Sydney in February, expect nights in Dubbo to be a bit cooler, around 20°C, while days are a bit warmer, around 37°C. Wrap up your sightseeing on the 5th (Tue) to allow time to travel to Broken Hill. Your cultural itinerary includes sights like Royal Flying Doctor Service, The Bruce Langford Visitors Centre and Albert Kersten Mining and Minerals Museum (GeoCentre). 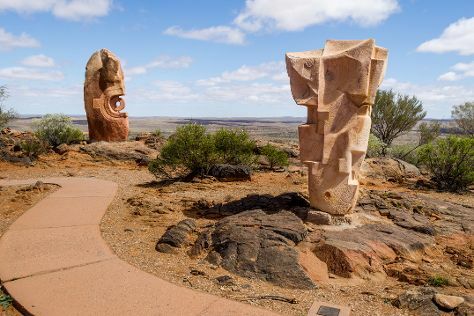 Take a break from the city and head to The Broken Hill Sculptures & Living Desert Sanctuary and Mutawintji National Park. Change things up with these side-trips from Broken Hill: Silverton (Day Dream Mine, Silverton School and Educational Museum, & more) and Kinchega National Park (in Menindee). The adventure continues: explore the world behind art at Pro Hart Gallery, admire the majestic nature at Living Desert State Park, contemplate the long history of Broken Hill Trades Hall, and take in the spiritual surroundings of Synagogue of the Outback. To see ratings, maps, other places to visit, and other tourist information, read our Broken Hill online trip maker . You can fly from Dubbo to Broken Hill in 2.5 hours. Alternatively, you can drive; or take a bus. Plan for somewhat warmer nights when traveling from Dubbo in February since evenings lows in Broken Hill dip to 26°C. Cap off your sightseeing on the 11th (Mon) early enough to travel to Adelaide. 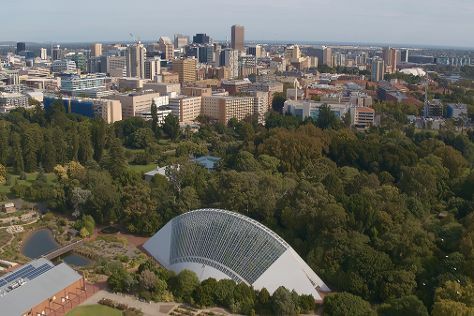 Get some historical perspective at Adelaide Oval and Smith Brothers Walking Trail. Kids will appreciate attractions like Aldinga Beach and Henley Beach. Explore the numerous day-trip ideas around Adelaide: Thaxted Park Golf Club (in Woodcroft) and Hallett Cove Conservation Park (in Hallett Cove). Dedicate the 17th (Sun) to wine at some of the top wineries in the area. And it doesn't end there: take a stroll through Rundle Mall, learn about winemaking at National Wine Centre of Australia, enjoy the sand and surf at Glenelg Beach, and get to know the fascinating history of North Terrace. To find more things to do, where to stay, maps, and more tourist information, read our Adelaide trip maker app . Traveling by flight from Broken Hill to Adelaide takes 3 hours. Alternatively, you can drive; or take a bus. In February, Adelaide is slightly colder than Broken Hill - with highs of 32°C and lows of 19°C. Finish up your sightseeing early on the 22nd (Fri) so you can travel to Hobart. Bring the kids along to Bonorong Wildlife Sanctuary and Seven Mile Beach. Step out of the city life by going to Mount Wellington and Kingston Beach. 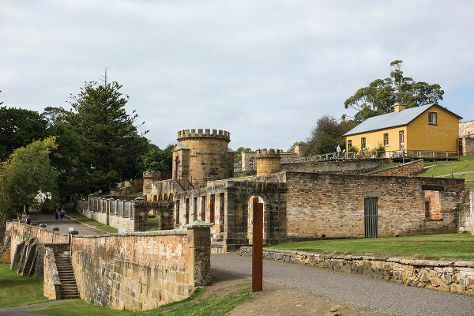 Get out of town with these interesting Hobart side-trips: Tasmanian Devil Unzoo (in Taranna) and Port Arthur (Port Arthur Historic Site & Three Capes Track). Spend the 4th (Mon) wandering through the wild on a nature and wildlife tour. There's much more to do: sample the tasty concoctions at Cascade Brewery, kick back and relax at Bellerive Beach, step off the mainland to explore Macquarie Island, and examine the collection at Museum of Old and New Art. To find where to stay, maps, traveler tips, and tourist information, use the Hobart visit planner. Traveling by flight from Adelaide to Hobart takes 4.5 hours. Alternatively, you can do a combination of car and ferry; or do a combination of train, ferry, and bus. In February, Hobart is slightly colder than Adelaide - with highs of 26°C and lows of 14°C. Finish up your sightseeing early on the 4th (Mon) so you can go by car to Launceston. Get some historical perspective at Entally Estate and Woolmers Estate. 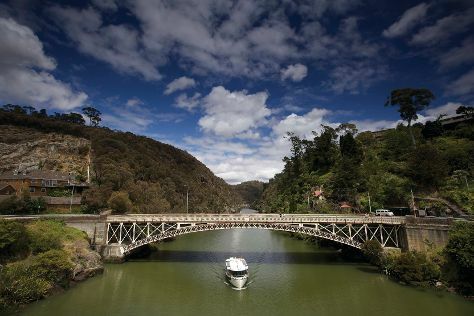 You'll visit kid-friendly attractions like Cataract Gorge Reserve and Coles Beach. Change things up with these side-trips from Launceston: Barnbougle Dunes (in Bridport), Delamere Vineyards (in Pipers Brook) and Platypus House (in Beauty Point). The adventure continues: do a tasting at Ghost Rock Tasmania, look for all kinds of wild species at Tamar Island Wetlands, delve into the lush surroundings at Westmorland Falls, and take in breathtaking views at Leven Canyon. To see maps, traveler tips, other places to visit, and other tourist information, go to the Launceston trip planner . Drive from Hobart to Launceston in 2.5 hours. Alternatively, you can take a bus. In March, daytime highs in Launceston are 26°C, while nighttime lows are 11°C. On the 14th (Thu), wrap the sightseeing up by early afternoon so you can travel back home.